Amy's found another body in a hotel bedroom. Jim is puzzled by a sinister smell emanating from one of his storage units. Kate's losing it after spending all day with the police. There's no going back after what they've seen. "One of the Top Ten Shows of 2008!" "Steep Theatre Company Earns Its Buzz! 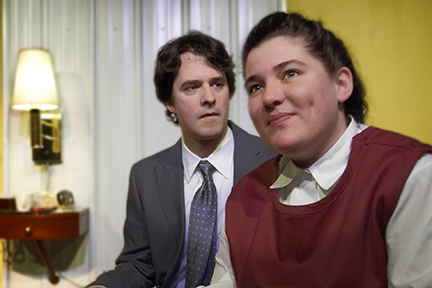 This is a juicy, tightly packed and exceedingly smart play." "...in this brisk Steep production, director Robin Witt handles the material the way British mysteries are best delivered: tart and lively, even with all the dead bodies lying about."